The Raven Kit takes the AOA information already provided by a certified AOA system and reads the AOA information via RS232. Call or email for more information. The Raven kit can have either the chevron style display or the bar graph style display. Pilots will benefit greatly by having real time AOA displayed from a dual, heads up display (HUD) in their peripheral vision. This standalone retrofit kit is for the GA, commuter, commercial, and transport aviation community. 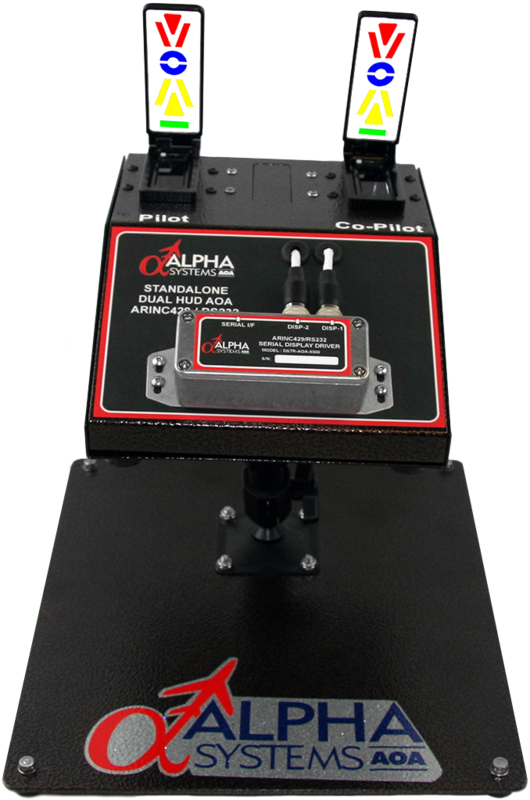 This kit takes the AOA information already provided by a certified AOA system and reads the AOA information via RS232. Custom OEM configurations and programs available. Also available in single or dual. Reads information via RS232 serial bus. RS232 & Power Cable 6 ft, two wires.